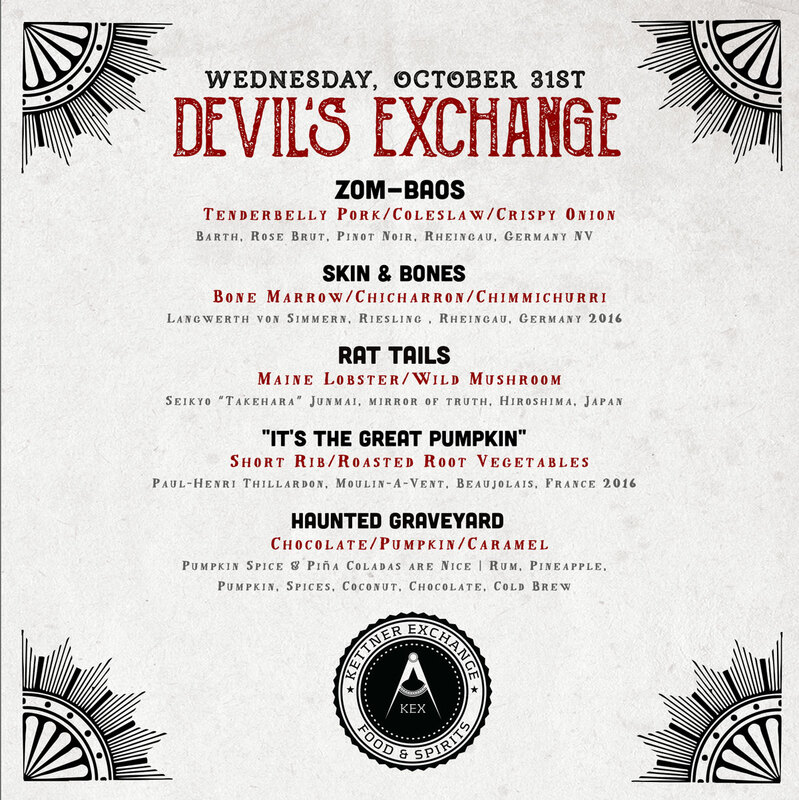 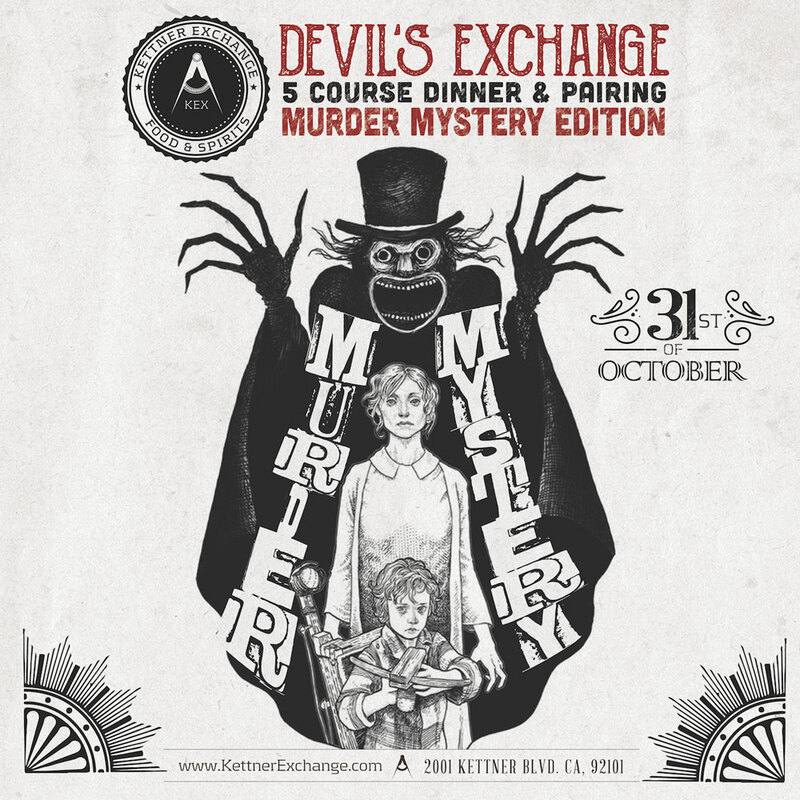 Kettner Exchange and Devil’s Dozen present Devil’s Exchange – Murder Mystery Edition. 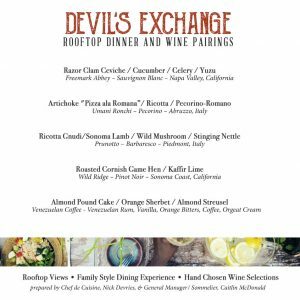 Join us on top of Devil’s Dozen Donut Shop for a limited seating, 5-course dinner and beverage pairing with Chef De Cuisine Nick DeVries and Beverage Director, Steven Tuttle. 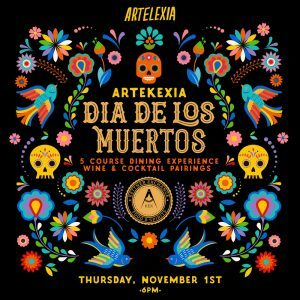 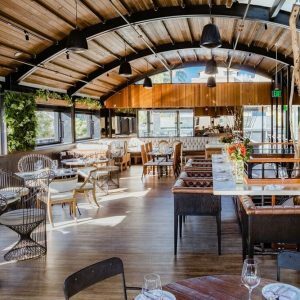 Featuring Locally sourced off menu hand-crafted items paired with exclusive seasonal cocktails and wine + Murder Mystery interactive show by Murder Mystery Co. San Diego.